On Friday, February 6, 2015, the 94-year old consumer electronics retailer Radio Shack announced that it would be closing 1,784 of its brick-and-mortar retail store locations in the U.S. and Puerto Rico in the 2015 calendar year. These store closings are part of a Chapter 11 bankruptcy which was filed just one day earlier on Thursday, February 5, 2015. At the time of the filing, Radio Shack had more than 4,000 company-owned and operated retail stores located in the U.S. and Puerto Rico. 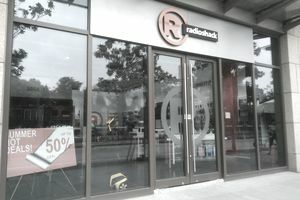 In March 2014 Radio Shack made news headlines when it announced that it would close 1,100 of its stores in an effort to improve its financial performance. Only 175 of those retail store closings actually happened in 2014, however, because lender agreements blocked the company’s ability to proceed with its drastic downsizing plans. It was only a $535 refinancing deal with hedge fund Standard General that allowed RadioShack to stay solvent enough to operate throughout the 2014 Christmas holiday shopping season. In return for that bailout, Standard General now owns a $120 million stake in Radio Shack, which will have lost half of its retail footprint after the 1,784 store closings are completed. So, where are the Radio Shack going out of business sales taking place in 2015 and which states will be hit the hardest and suffer the largest losses of retail leases and retail jobs? The short answer is that Radio Shack will be closing retail stores in 49 states, plus the District of Columbia and Puerto Rico. At the time of the announced store closures, Radio Shack has no retail store locations open in Alaska, so the retail economy in that state will be unaffected. The states with the largest number of RadioShack store closings in 2015 include California with 191 store closings, New York with 144 store closings, Texas (the retail headquarters of RadioShack) with 143 store closings, and Florida with 117 store closings. The store closings in other states and Puerto Rico will not be insignificant, except to consumers in those states, who haven’t found many relevant reasons to spend money in RadioShack stores for several years. To find out the exact locations of the Radio Shack store closings and final clearance going out of business sales, click the links below. Each link leads to a list of retail store closings in that state scheduled for the 2015 calendar year, including the RadioShack store closing details.